Compared between the two, I liked this sequel better than “Dog Days.” The wolves in both book were still obnoxiously arrogant A-hole (in my opinion) considering how they treated their mate, although – to be fair – Gregor didn’t know any better considering the condition he was in when he first met Nick. But “Stone the Crows” had a more intriguing opening. Then again, part of the reason was because I’ve read the first book so I had the general idea of the situation this AU Scotland facing; and it really really helped shaping up the world building (of the story) in my head. That saying, and it pains me to say this, but as interesting as the premise of “Wolf Winter” series is, it’s really difficult for me to find likable aspects in the books. Yes, books – as in plural: #book1 and #book2. Other than how obnoxious both twins being, the flow of the story felt riddled with unexplored loop holes. There was that gap between where “Dog Days” ended and “Stone the Crows” started (somehow I felt it’d have more impact were the incident were shown on page instead of being told as an aside), not to mention – just like in previous book – our protagonist going blind facing their adversaries, or out of nowhere there’s mention of deceased child?. Nick and Gregor practically knew nothing and escaped from the ordeal and defeat the monsters out of …luck? And it’s not even the end of the story. Apparently there’s more to come from this “Wolf Winter” series and I just felt helplessly clueless. Given I enjoyed this author’s previous contemporary mystery book, it’s rather surprising how much struggle I had with this paranormal series. Perhaps it’s a case of me being too dense and unimaginative to understand alternative rendition of shifter folklores, I don’t know. I’m still curious on how the twins and their mates’ adventure would end. But for the moment, I think I’m more exciting on the author’s other contemporary series than this one. Perhaps I’d change my mind later, we’ll see. Advanced copy of this book is kindly given by the author in exchange for an honest review. 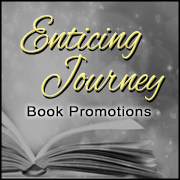 Posted in Book Review, Books.Tagged Bisexual, Dreamspinner Press, LGBTQIA, MM romance, opposites attract, paranormal, Romantic Suspense, series, TA Moore, Urban Fantasy.